Ball On My Mind will be introducing an all known familiar event that is held across multiple states in the US. 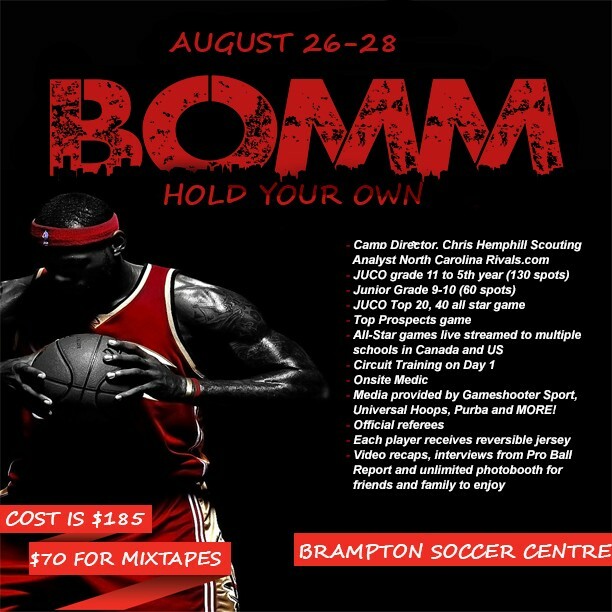 The recognizable JUCO showcase (players grade 11 – 5th year), it is important to provide a service to all participants playing the game right now. Accompanying the JUCO showcase will be the Junior Showcase supporting players strictly between the grades of GRADE 9-10. Although this year our showcase will be held late, Ball On My Mind has taken the effort to form relationships with great influences within the game of basketball to provide the elements that players most want and that is Scouts! We are fortunate to have Chris Hemphill, scout with NC Preps in association with Rivals.com (One of the largest American Scouting Services in the US) flying down to witness the event and evaluate prospective talent. Chris will be gathering reports to take back with him to North Carolina to share with multiple Division 1 coaches and other scouts that he has relationships with. There will be plenty of media coverage and real time reporting. Ball On My Mind is always improving and we have decided that we will comprise a panel to help select the all-star game participants to ensure fair selections but more importantly that players are clearly identified. Live Streamed All-Star games to schools in Canada and the US schools will be announced soon!